Having type 1 or type 2 diabetes often makes it harder or even impossible to find suitable Life Cover, Critical Illness Cover and Income Protection. Life insurance companies typically have a range of different premium rates for people with diabetes. Different companies will place the same person in different price bands. The process of applying for cover can often take weeks – or even months – if medical reports need to be obtained and checked. And although the situation has somewhat improved for Life Cover in recent years, most insurers are still unwilling to consider Critical Illness or Income Protection for people with any type of diabetes. How has the prospect of finding Life Cover been improved for people living with diabetes? Well, there’s definitely some good news here. In recent years, we’ve seen improvements in the prices for Life Cover typically offered to people with diabetes. Another encouraging development we’ve seen with a couple of insurers: after starting the life insurance policy, the insurers reward policyholders by reducing premiums if the customer can demonstrate improved control (i.e. if their HbA1c reading comes down by a certain amount). We think this is a very encouraging sign, not just because it can make cover cheaper, but because it demonstrates that the insurance market is starting to consider how to adapt to the unique circumstances of people with long-term health conditions. If certain criteria are met, it’s now possible for people living with diabetes to get a “fast-track” application, which means cover could be in place immediately. Less stress, more peace of mind – exactly the kind of innovation we want to see for people with long-term health conditions who want to protect their financial security and their family’s future. What about Income Protection and Critical Illness Cover for people living with diabetes? A year ago, there were hardly any options for people with diabetes to obtain Income Protection Insurance. For most it simply wasn’t available. Moneysworth campaigned to improve that situation, and we’re pleased to see at least some people in the insurance industry listened to us! With expert guidance, it’s now possible for some people who have type 2 diabetes to get Income Protection with no exclusions, subject to certain criteria. But for people with type 1 diabetes, although there is some availability, it’s extremely limited. The situation for Critical Illness Cover has been slow to improve. It is now possible for people living with diabetes to obtain Critical Illness Cover – but the options are very limited and the chances of being offered cover are even narrower if they have type 1. The small signs of progress we’ve seen in the market are a welcome start, but the fact is most insurance companies still don’t offer either of these protection products to people who have diabetes. We want the insurance industry to see people living with long-term health conditions as a priority. The charity Diabetes UK reports that there are around 3.7 million people who have been diagnosed with diabetes in the UK, and that figure is predicted to rise to 5 million by 2025*. In light of this, we firmly believe that the insurance market needs a surge of innovation to make its products and services more forward-thinking and inclusive. 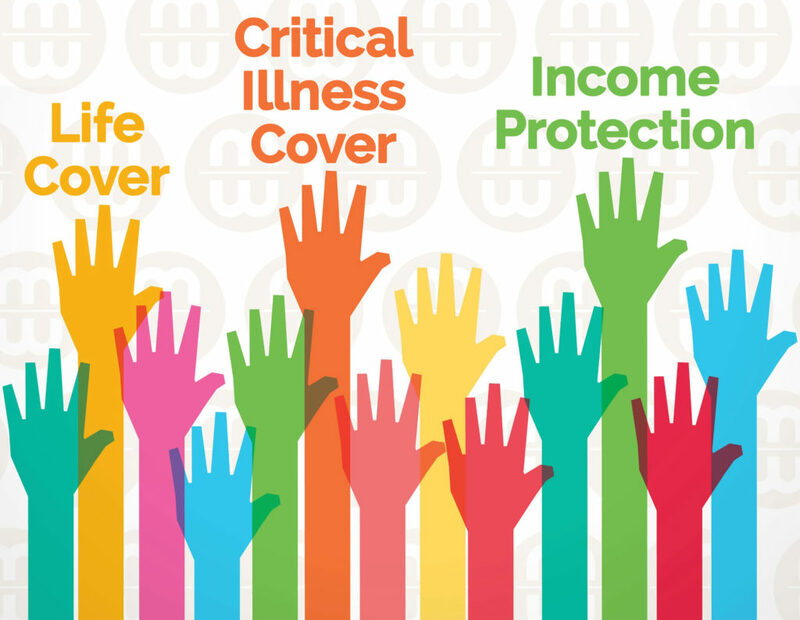 Moneysworth wants to see cover options and availability broaden for people living with diabetes, and so we’ll continue to lobby the insurance industry. Obtaining Critical Illness cover for anyone with Type 2 Diabetes can be very difficult, but it is possible in some circumstances, as one of our recent cases demonstrates. The first problem is that most insurance companies will automatically decline any application for Critical Illness cover from a person with Type 2 diabetes, irrespective of positive factors, such as good control and lack of complications. So it’s difficult for consumers to know where to go. Normally buying life insurance and critical illness cover can be done in many places like the bank, large comparison websites and financial advisers, however if your personal circumstances mean that you do not fit the standard mould, you would be well advised to use the services of a life insurance broker who has particular specialisation in dealing with people who have health conditions. Moneysworth has been successful in arranging Life and Critical Illness cover on a number of occasions for people with Type 2 Diabetes, as a recent case demonstrates. A gentleman in his early 40’s made an enquiry on our website: www.moneysworth.co.uk. Type 2 Diabetes had relatively recently been diagnosed, his control was good and he didn’t have any diabetic complications, but he was overweight. With a raised BMI (Body Mass Index) of 31, this made finding cover even more difficult. He wanted Life and Critical Illness cover and had a specific budget in mind for his premiums of £75 per month. As we do in all cases, we researched the whole market for the client to see if life and critical illness cover would be available. Our research indicated that only one insurance company would offer him cover, so we applied to them. The insurer wrote to his GP surgery for further medical information and on receipt of that offered a guaranteed premium policy for £75 per month, covering the client for Level Life or Critical Illness cover (without exclusions) of £75,350 over 23 years. People with an existing health condition who have been declined elsewhere should not give up hope of getting the cover they want until they have used the services of a specialist life insurance broker. If a client wants to find out what might be available and apply, Moneysworth do not charge a fee. This means Moneysworth is only paid a commission by an insurer if we are successful. Remember if you’re unsure if a broker is a specialist, you could ask the question: ‘What percentage of your clients have pre-existing health conditions?’. At Moneysworth that figure is over 75%! We recently had an interesting case concerning diabetes and critical illness cover where we acheived an unusual outcome (more of which below). But its worth looking first at the general current landscape for critical illness cover and diabetes in the UK protection market. Is diabetes a critical illness for insurance purposes? Can you get critical illness cover if you already have diabetes? Diabetes is a progressive and life changing illness that can lead to some potentially very serious outcomes. So does diabetes count as a critical illness? Does it appear on the list of critical illnesses generally covered on most insurance company critical illness plans? The answer is mostly no. One exception to this is late onset type 1 diabetes which is included as a critical illness condition by at least one major insurer. Late onset type 1 is relatively unusual so the chances of making a claim for this are very small. But it can and does happen. We know a lady who fell ill on holiday last year and was found to havean Hba1c reading of 27 – in her late forties she was diagnosed type 1 immediately and also then had to face her life long phobia of needles. But for the vast majority of critical illness policy holders, the diagnosis of diabetes Type 1 or Type 2 will not provide them with a valid condition on which directly to make a claim. But the story doesn’t end there. As 2.4 million UK diagnosed diabetics know one of the key issues for them is their increased risk of cardiovascular complications. Indeed this is why many diabetics are put onto ‘preventative’ medications for blood pressure and/or cholesterol in order to try and prevent the development of additional cardiovascular risks. So here is some good news. Even though the diagnosis of diabetes will not in most cases prove to be a valid health condition on which to make a claim under a critical illness plan (despite the seriousness of the condition) policy holders are more likely to be able make a claim if they go on to a heart attack or stroke, as these are more generally valid critical illness claim conditions. So much for people who don’t have diabetes now, what about those who do? Is it possible for diabetics to obtain critical illness cover? The answer to this question is genarally negative. Nearly all the mainstream insurers currently will decline applications for critical illness cover from diabetics, irrespective of type, duration or the level of control levels. But…… there is one company currently who will consider offering critical illness cover to some diabetics. If you are 40 or over and have good control with no complications, you might be able to obtain terms. For those who are able to get cover there will be exclusions on the policy in the main for any cardiovascular conditions. Given the increased risk of suffering cardio vascular conditions some diabetics may consider that the cover excludes the very health risks they wish to cover. Its difficult to argue with that, although it is worth mentioning that a discount in premiums is generally applied to reflect the excluded cover so that diabetics will pass less than non diabetics for once! Also the remaining cover still covers a lot of conditions including cancer, which is a huge area for actual claims. Finally just to go back to the story of the recent client for whom we acheived an unusual result. The client was seeking critical ilness cover. On paper he had been diagnosed with diabetes and received medication for diabetes. However in his case the doctors felt that the diabetes had been caused as a side effect of strong medication for another health condition which had effectly caused his pancreas to stop making insulin. Furthermore the effect was temporary and the client had to be taken off treatment when his Hba1c readings dramatically dropped and if was found that his pancreas had resumed production of insulin. Since then the clients blood readings have stayed within ‘normal’ levels and he has not needed any medication. Whether or not anyone who has been diagnosed with diabetes can ever be described as an ‘ex’ diabetic is a hot topic of debate and one for which there are others far better than I to comment upon. However what is for sure is that for insurance companies generally, its ‘once a diabetic always a diabetic’. Which was exactly the line taken by all the insurance companies when we contacted them. Probably it didn’t help when we told them that this client especially was looking to be treated as a non diabetic so that he could have cardio vascular conditions included in his critical illness cover. The door was firmly shut. With one exception! We did find one company who were willing to take on board the unusual aspects of this case and who were willing to offer our client the cover he sought. So he is now covered for, among other critical illness conditions, heart attack and stroke – two of the three main critical illness claim areas for critical illness claims for.